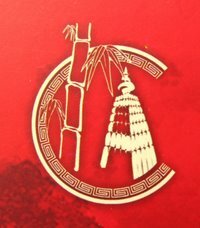 The Indian Chinese Association: BELONGING ! ! The breakfast served in Calcutta’s Tiretta Bazar — ostensibly the city’s older, original China Town — is truly appetizing. But the stories I was told during my visit by its Chinese residents were distinctly unpalatable. Dominic, who runs a modest store near-by, recounted his mother-in-law’s banishment to an internment camp in Deoli in Rajasthan. A resident of Shillong, she was forcibly put on a train by Indian security personnel in 1962, the year of India’s disastrous war with China. Dominic’s description of the woman’s terror is matter-of-fact. During the long journey in the cold (it was November), the bona fide Chinese residents — most of them had been born in India or had married into Indian families — were denied blankets. Each time the train stopped at a station, threatening mob chanted racial slogans. The years in Deoli, the last of the detainees were released only in 1967, were spent in physical hardship. The Chinese people were forced to take up agriculture to survive, even though most of them had owned small businesses in cities. A large number of the families were later deported to China. Unable to integrate themselves into an alien land and culture — weather, food, dress, nothing felt like home — the displaced population emigrated to Canada in search of a better life. That morning, Lin — Georgie to his friends and a consummate chef — also shared his knowledge of the difficult years that followed the War. He had grown up listening to stories of discrimination against Calcutta’s Chinese community: Indian companies got rid of Chinese employees on flimsy grounds while Chinese businesses — shoe-shops , for instance — were crippled by militant trade unionism. Another woman, a teacher who had been listening to my conversation with Tiretta Bazar’s residents, sternly asked me my year of birth, the reason for my visit, and then said, “What would you know about not belonging? I didn’t know much, but I wanted to find out. The truth is that like most other Calcuttans, my knowledge of the city’s Chinese population is limited to Indianized Chinese food — I was treated to dimsum soup and pork balls in Tiretta Bazar— and the boisterous New Year dragon dance. Indifference and ignorance have contributed to our collective apathy towards the community’s troubles: the dwindling population (Calcutta’s Chinese residents number around 2,000, say unconfirmed estimates), low literacy and employment rates, the ruinous state of Chinese places of worship (a municipal vat lying within metres of the Toong On Church was shut after sustained agitation). 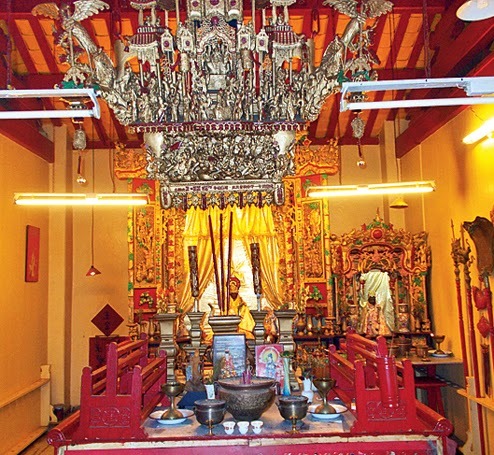 But the Cha Project, a restoration initiative that aims to conserve Tiretta Bazar with generous help from Indian National Trust for Art and Cultural Heritage, the Singapore-based Buzz Media and, surprisingly, the state tourism department, has now been conceived to plug the gaps in the city’s knowledge of the Chinese community. A detailed project report is being drafted to chalk the outlines to restore and preserve, among other places, a cemetery, old temples as well as the iconic Nanking restaurant. A heritage centre, conceived of as a repository of Chinese artefacts, has also been planned as part of the project. There are plans to revive such traditional Chinese crafts as shoe-making. Thirty-odd Chinese-owned shoe-shops survive in Calcutta, and their mass-produced stock has few buyers in a liberalized retail trade dominated by global manufacturers. Care is also being taken to design the project in a manner that would benefit the local economy. Vendors who sell breakfast in Tiretta Bazar would be provided with stalls, carts and clean water. Redesigning public spaces to renew their organic ties with a community’s history and culture remain central tenets of modern conservation. In this respect, the Cha Project isn’t quite original. 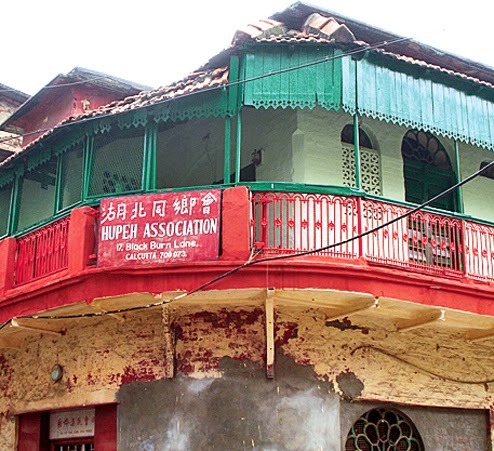 Yet its emphasis on incentivizing heritage conservation for the stake holders — in this instance, the Chinese community — underscores its importance. In a culture that refuses to prioritize conservation, thereby ignoring history and the lessons it holds for us, the only way to preserve the past, perhaps, is by transforming the collective responsibility of protection into a profitable enterprise. Incidentally, this model of entrepreneurial conservation has been successfully practised to restore Chinese enclaves in other parts of Southeast Asia. Kuala Lumpur, for instance, has a bustling area selling Chinese food and knick-knacks. Premised on the philosophy of sustainable development, such projects strive to transform neglected urban heritage zones into “mixed-use” public spaces, comprising restaurants, museums and outlets for performance arts — each agency serving as a prop to educate visitors about the local community’s history and cultural practices. If the Cha Project were to succeed, the morning market in Tiretta Bazar could metamorphose into an aesthetically designed lane selling delicious, hygienic food. The restoration of the surrounding decaying temples would also mean that greedy Calcuttans as well as those with a serious interest in the city’s syncretic history would flock to this stretch. Such visits, in turn, would help regenerate the local economy. Securing the livelihoods of food vendors, artisans and small traders would, theoretically, preserve an eco-system comprising distinct forms of architecture, cultural practices and trades. Such a participatory approach has additional benefits. First, it democratizes conservation by limiting the role of the State to that of a facilitator. Second, and more important, conservation is consequently seen as a public, and not an esoteric, engagement. But incentivizing conservation has its own pitfalls.The prioritizing of economic regeneration often leads to selective representation and embellishment of community history. The Cha Project’s laudable intention of preserving and presenting the best — in other words, what is deemed most attractive for consumers — of what the Chinese community has to offer reveals the dilemma inherent to sustainable conservation. 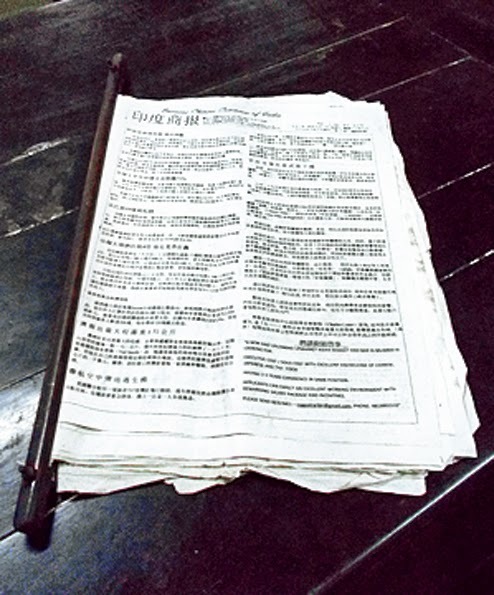 Should not the stories of deprivation, deportation and subsequent disenfranchisement of Calcutta’s Chinese people be accommodated in a project meant to record the history of the community? The wilful exclusion of the unedifying aspects of the community’s relationship with the city would bolster the dangerous proposition of conservation being divested of the mechanisms to redress past injustices. Interestingly, the resistance to make history representative can also stem from the community itself. Most of the Chinese residents I spoke to seemed anxious to ensure that the conservation project adequately reflects the community’s adaptability and industriousness — its two most prized qualities. But my enquiries concerning the existence of opium dens and the shadowy links with the underworld were met with silence or denial. The community’s enthusiasm to disseminate its virtues, while concealing the faultlines, betrays its nervousness about being demonized in the eyes of the majoritarian group. This reiterates the fact that the reconstruction of community history through institutional means is, inevitably, a political exercise in which the balance of power is decidedly tilted in favour of the majoritarian community. The challenge for the Cha Project is not only to make conservation profitable. Its legacy will be judged by its ability to record truthfully the sources of tension between the city and a people who wanted to belong to it. Economic and cultural marginalization of the Chinese people has contributed to the sense of alienation that prevails in old China Town. The State’s indifference towards redressing the horrors perpetrated on the community has also compounded its estrangement. Therefore, it will not be enough to compensate the wrongs of the past by preserving a heritage space. The reintegration of the community depends on the State’s willingness to make it visible not only on the city’s economic and cultural map but also in the sphere of education. The inclusion of the community’s contributions to Calcutta, as well as its present problems — migration, worrisome demographic indicators, and so on — in the official curriculum is critical to an attempt to dissipate this sense of alienation. The preservation of derelict edifices as well as language is necessary to restore the community’s sense of dignity. There is thus a case of reimagining the idea of heritage conservation itself. It should no longer be deemed only as a complex exercise involving the preservation of endangered architectural forms. It has to be thought of as a holistic enterprise that must harmonize the difficult, and often contradictory, demands of architecture, aesthetics, education, culture, economics and justice. Its conceptual limitations notwithstanding, the Cha Project can be an important milestone in a city that is yet to develop a professional and empathetic outlook towards conservation. The success of the project may provide the necessary impetus to other public-private partnerships to restore all that is being threatened with permanent effacement. Hopefully, such initiatives would also expand their field of enquiry to preserve the architectural legacies and cultural practices of indigenous migrant communities — Marwaris, Biharis, Punjabis, Odiyas — that have enriched the city as a living space. 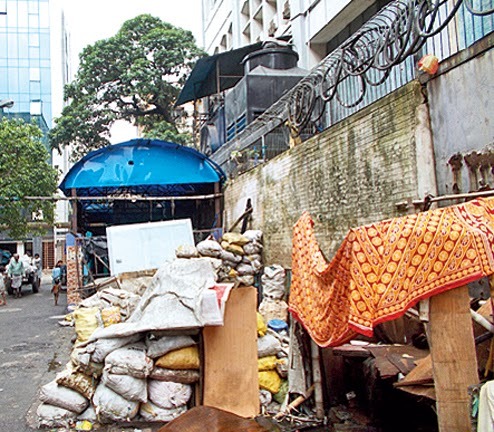 Some such segments, having tasted affluence through the real estate business, pose the greatest threat to older parts of the city like Tiretta Bazar. The need to educate them about the importance of preserving and regenerating public spaces and their affiliated histories should be treated as an urgent, and public, responsibility. YoBit allows you to claim FREE CRYPTO-COINS from over 100 distinct crypto-currencies, you complete a captcha one time and claim as much as coins you need from the available offers.